The volume seller, clock smith, and cafe owner. 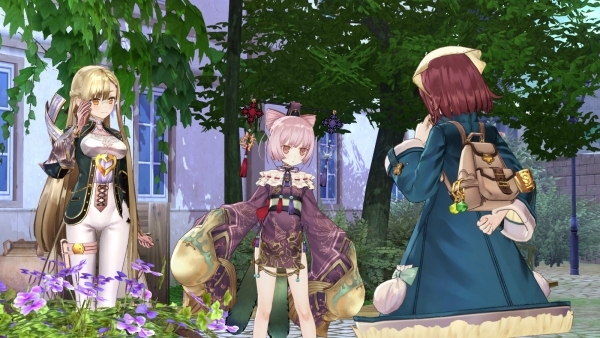 This week’s Atelier Sophie: The Alchemist of the Mysterious Book update shares first details on the game’s battle system, as well as introduces three new characters. This game uses a battle system where players decide the actions for every party member at the start of each turn. Once their actions have been decided, it cannot be changed until every action has been carried out, so it is important to proceed thinking about the battle logically. 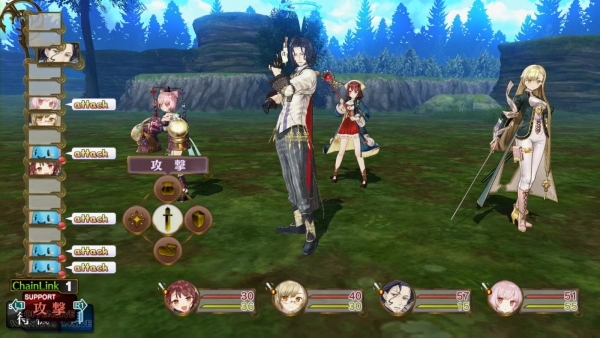 Once you’ve decided all your party members’ actions, a gauge on the left of the screen will indicate which characters act first, starting from the top. The order of their actions is determined by each character’s speed, as well the selected action. The next turn will commence when every character’s action has been carried out, and you can again decide your actions. Each character also has their own sets of skills, which range in effect from damaging the enemy to strengthening the party and so on. You’ll need MP to use these skills. Every party member can use items. 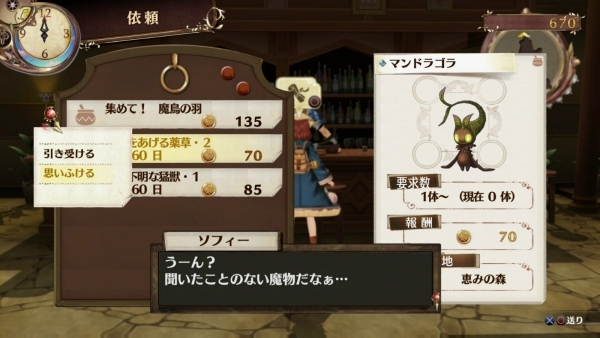 Each character has different types of items available to them. Therefore which characters you choose to fight with can change the battle strategy in a big way. 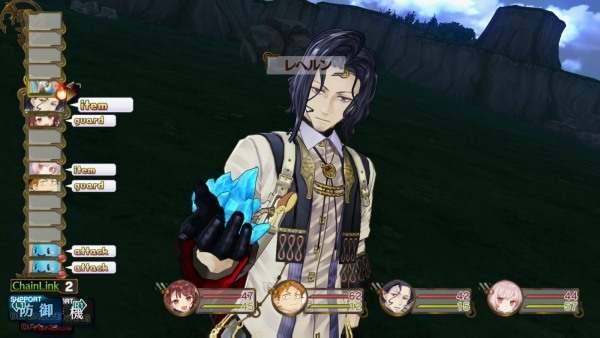 Oskar, for example, can use “Food” items in addition to attack and recovery items. Monika, on the other hand, has access to many different food items, given that she’s always coming to Sophie’s studio to eat sweets together. 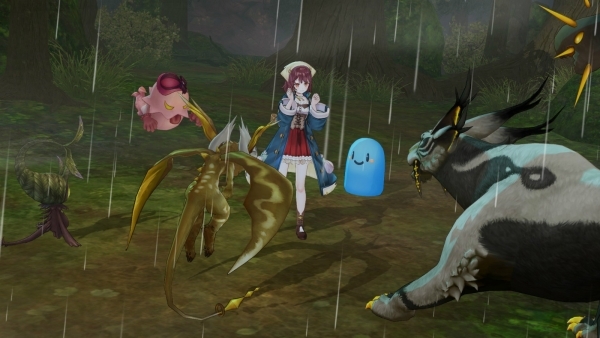 Via the “Stance” command, you can followup on an ally’s attack, or become a substitute for the attack they’d receive. 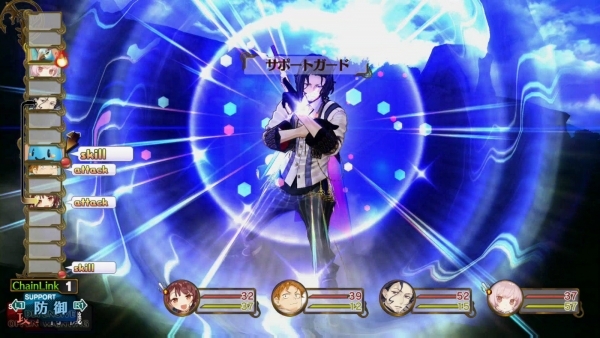 For example, taking the “Defense Stance” will automatically shield allies from attacks. You can switch stances at will. 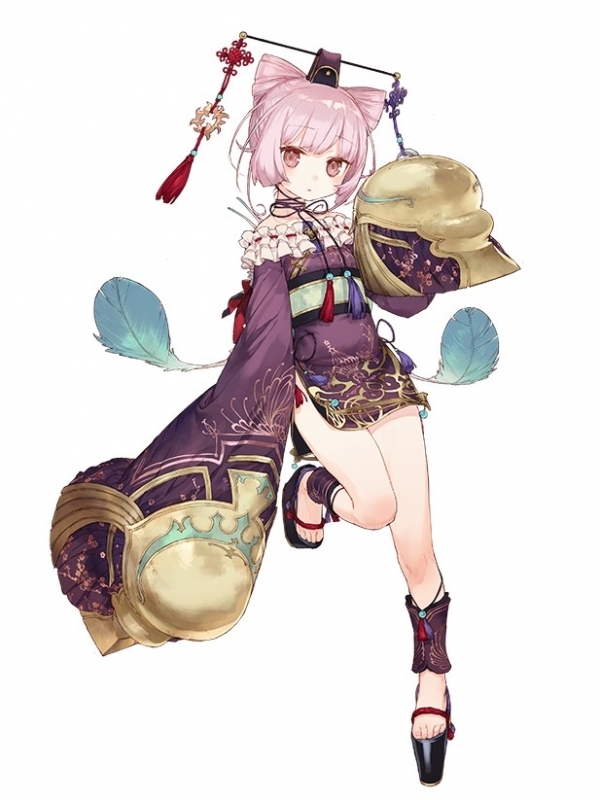 As time passes, you’ll see the world of Atelier Sophie changing. The townspeople are living their day-to-day lives, and with the passage of time and changes in weather, you’ll little by little see changes in their daily existence. You’ll be able to enjoy various events in different places depending on the time. When it thunderstorms at night, more monsters come out, as well as powerful ones that don’t come out during the day. You can collect different materials in the same place depending on the time and weather. Fatigue Warning: As you continue battling and collecting materials, Sophie will tire little by little. Sophie’s LP gauge will reflect her level of fatigue. A fatigued Sophie will fall in status, so it’s important to keep an eye on your gauge. In Kirhen Bell, there is a single cafe. An old gentlemen named Horst runs this establishment, which operates in the daytime as a cafe and in the nighttime as a bar, bringing people together regardless of the hour. At the cafe you can take on requests, hear the latest rumors, or gather information related to Sophie’s life. Requests mainly consist of subduing monsters or collecting items, and depending on the result reward the player with things like money. By clearing requests, you can receive advanced requests that are more difficult and offer higher rewards. As for rumors, you can collect useful information like, “There are supposed to be a lot of materials at this place.” They cost money to hear, but can prove beneficial in discovering new areas for collecting materials. 15 years-old. 146cm tall. Works as a volume seller. A young girl who runs a volume seller shop in Kirhen Bell. She’s an alchemist like Sophie and has the ability to replicate things. However, given that she slightly shrinks in height each time she uses it, she is holding off on any overuse her power. She has an easygoing personality and does things at her own pace. To find the father she’s been searching for ever since she became aware of what was going on around her, she intends on becoming famous. 27 years-old. 180cm tall. Works as a clock smith. A man who runs the town’s watch shop, which he took over after his father retired, but has an insincere work ethic. Rather than repairing watches, he exclusively prefers gun-making, and makes a living by selling them. He has a very sarcastic personality, with words that sting end to end, but on the inside is very caring and worries about Sophie, who he’s known for a long time. 51 years-old. 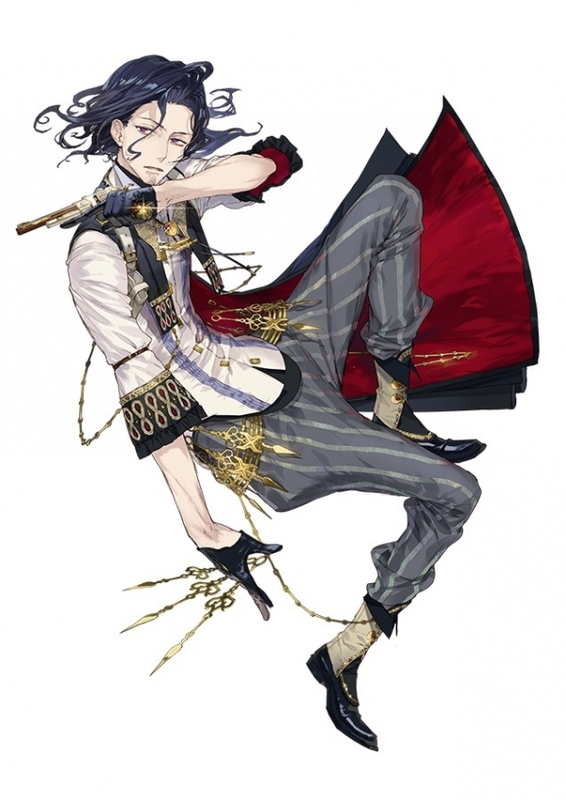 175cm tall. Works as a cafe owner. 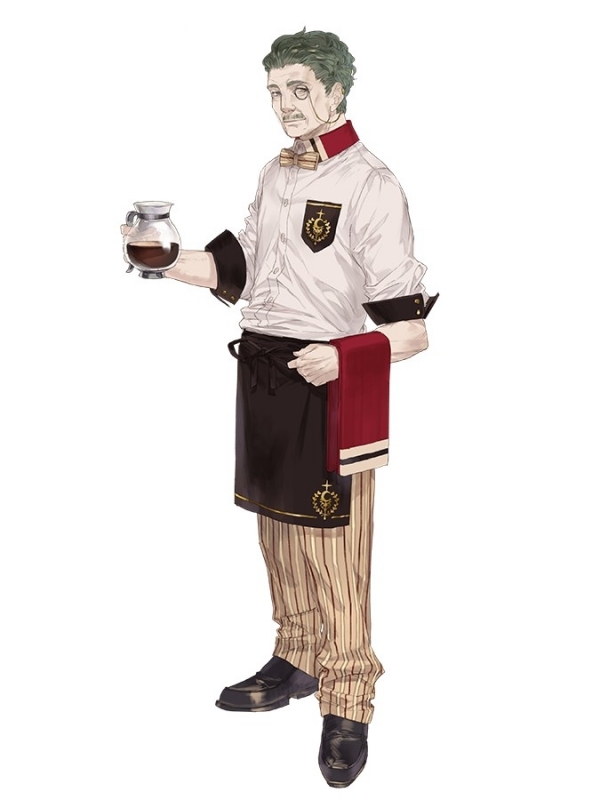 An old man who runs the Kirhen Bell cafe—a cafe in the daytime, bar in the nighttime. He knows a thing or two about the gossip of the town, brokers all sorts of requests, and shares various rumors with Sophie. He has an honest personality, and the people of the town place great trust in him. Feeling lonely, he opened a cafe where all people can gather. Atelier Sophie: The Alchemist of the Mysterious Book is due out for PlayStation 4, PlayStation 3, and PS Vita in Japan on September 25.